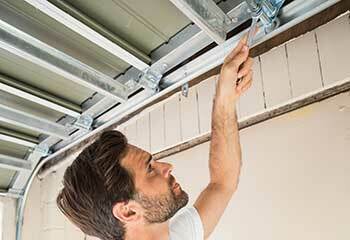 Is your garage door giving you problems? If you’re looking for some help and you’d like to learn a little more about what our repair specialists can do, you’ll want to look at our latest projects. Customer Issue: One of Mr. Faulk’s rollers got jammed, and subsequently broken during the next door use. 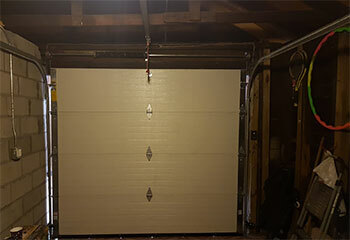 Our Solution: The team raised the garage door off its tracks manually, unscrewed the faulty roller from its hub, and replaced it with a new suitable steel unit. A little lubrication of the existing set and the new roller, and the door was ready to return to its tracks and tested. Customer Issue: Wanted a cheap yet reliable opener. 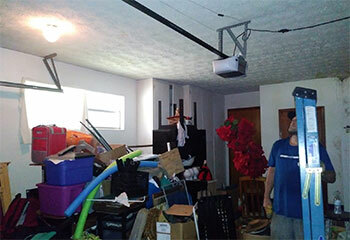 Our Solution: Because the opener was meant to be used in a shed, minimal noise output wasn't a priority. 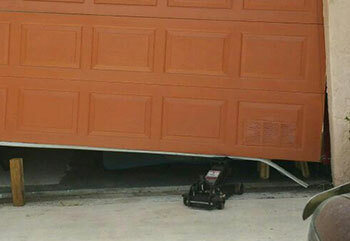 That's why we suggested to install the low cost Genie 1035-V chain drive opener, a lightweight model that can handle smaller sectional doors, which is what the customer had. Our Solution: We first removed the damaged cable and its counterpart (which was considerably frayed) and then inspected the torsion spring and the bottom of the panels to ensure no other part was damaged. Then, we replaced both cables with new ones of a similar length and size to ensure optimum functionality. Customer Issue: Severely bent track. Our Solution: Following the necessary safety precautions, we removed the rollers from the damaged track, then disconnected it from the wall and installed a new one in its place, making sure to properly align it with the door. Finally we reinserted the rollers and then opened and closed the door several times to make sure it was able to move freely and smoothly.